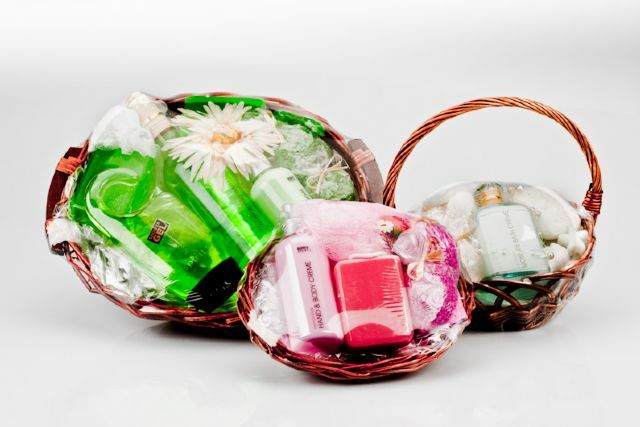 Superbly packaged and garnished gift sets made up of nice stuff and toiletries. Everything in the gift pack, is made especially for you, by us. Great for corporate gifts or your special person. Available in Pink, Lilac, Lime Green, Peach, Blue and Classic White. Contents: basket, 200ml hand & body lotion/ cream bath in glass, shower mesh sponge, 2 small sachets of bath salt, 2 small 20 gr soaps and a 115 gram pure glycerine soap. Contents: basket, 200ml shower gel, 200ml hand & body lotion, shower mesh sponge, 375ml bubble bath in glass, 2 small sachets of bath salt and a 115 gram pure glycerine soap.